Belgravia, Chelsea and Knightsbridge all have one thing in common. They are blessed with many of the best chocolatiers in the capital. They range from Rococo in Motcomb Street to Prestat in Pavilion Road. The Swiss are the biggest chocoholic nation in the world followed by Germany and Ireland, with the UK in fourth place (according to Euromonitor). However, London has some of the finest Easter Eateries. Here is our pick of the best homes for sale or to let with easy access to luxury chocolatiers or cafés with seasonal delights. From chocolate truffles to an astonishing variety of unusual gifts, Rococo in Motcomb Street (www.rococochocolates.com) is one of the best places to visit for Easter treats. Salted caramel gulls’ eggs, or a real hen’s egg stuffed with praline, are available for those with a sweet tooth. There is also a café area on the ground floor and an urban courtyard garden with additional seating. 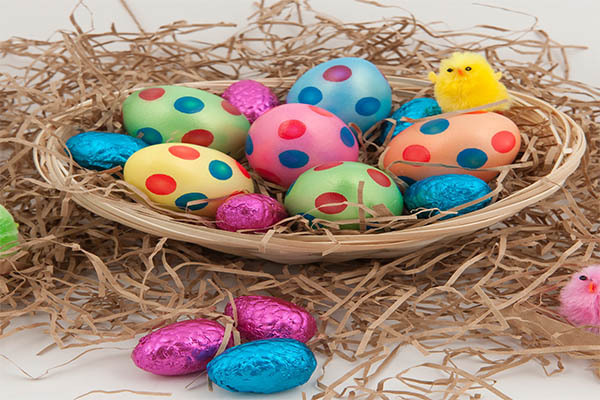 Just off Motcomb Street, in Halkin Place, we have a magnificent seven-bedroom property, which comes with access to Belgravia Gardens – the perfect place for Easter egg hunts. The Grade-II Listed home is on the market for £12.95m. For more details, call 020 7235 8861 or visit henryandjames.co.uk/property?id=5851509A7E7CE. There is nothing better than having a bakery just around the corner from your home. Baker & Spice in Denyer Street, Chelsea (www.bakerandspice.uk.com) makes fresh bread and cakes each morning. Sit inside or out to enjoy still-warm pastries. We have a two-bedroom second-floor flat near Baker & Spice on Sloane Avenue. The apartment is bright and spacious with a double-aspect. It is on the market for £975,000. For more details, call Henry & James 020 7235 8861 or visit henryandjames.co.uk/property?id=546F46154D7A5. Café Prestat in Pavilion Road, Chelsea (www.prestat.co.uk) stocks luxury chocolate treats for all the family. The Hot Cross Bun Spiced Easter Egg tickle the taste buds, while others come flavoured with gin or champagne. Harrods with its luscious Easter eggs and chocolate truffles is not far away. Just nearby on Basil Street, we have a two-bedroom apartment available to let, furnished, at £1,195 a week. For more details, call Henry & James 020 7235 8861 or visit http://www.henryandjames.co.uk/property?id=5693C6E41D045. L’eto in West Halkin Street (http://letocaffe.co.uk/ ) is a cosy café that serves lunches and dinner, as well as coffee and cakes. Try their “very chocolatey chocolate cinnamon cake” for an Easter treat. Just along the road, you will find this impressive sugar-frosted stucco-fronted home. It has a stylish interior and an ornate balcony. The three-bedroom property is available to rent furnished for £2,750 a week. For more details, call Henry & James 020 7235 8861 or visit henryandjames.co.uk/property?id=PL56476. Plenty of Easter goodies are on sale at the Hummingbird Bakery in South Kensington (www.hummingbirdbakery.com). Specialising in authentic American cupcakes, this eatery in Old Brompton Road offers everything from nests to chicks. You can head to your own two-bedroom apartment in Queen’s Gate nearby. It’s available to rent for £675 a week. For more details, call Henry & James 020 7235 8861 or visit henryandjames.co.uk/property?id=51DE89C89EBDD. Peggy Porschen is passionate about edible works of art. Her Easter delicacies will make your festivities peerless. From her pretty pink Parlour in Ebury Street (www.peggyporschen.com) she serves speckled-eggcup cakes that will be a holiday highlight. Henry & James has a two-bedroom apartment to rent on Ebury Street, Belgravia. At £850 a week, it will be a short, sweet stroll to Peggy’s Parlour. For more details, call Henry & James 020 7235 8861 or visit henryandjames.co.uk/property?id=53FCA746B7035. For a healthy start to the day, you couldn’t do better than brunch at Daylesford Organic in Pimlico Road (https://daylesford.com). Here you will find fresh, natural produce that’s full of flavour. Their Easter eggs come in a whole range of fun flavours and there’s traditional Simnel Cake for a seasonal treat. We have a one-bedroom flat just around the corner from Daylesford Organic in Sloane Gardens for rent at £595 a week. For more details, call Henry & James 020 7235 8861 or visit http://www.henryandjames.co.uk/property?id=PL60197. Easter is the ideal time to indulge in afternoon tea and where better than Flemings of Mayfair (www.flemings-mayfair.co.uk). Settle into the velvet banquette seats of The Drawing Room and enjoy the selection of sandwiches and cakes. We have a one-bedroom apartment in a mansion block on Hill Street minutes away from Flemings. Fortnum & Mason with its sweet chocolate temptations is not far away in Piccadilly. Our property in Hill Street has a generous double bedroom, a good size sitting room and a spacious bathroom. The flat is available for £670 a week. For more details, call Henry & James 020 7235 8861 or visit henryandjames.co.uk/property?id=58C7E59008AFC. Fait Maison (www.fait-maison.co.uk) is a French-style tearoom with perfect pastries and delightful desserts. You will find it on Stratford Road in Kensington and close-by is this unique home. Once a church, it retains many of its ecclesiastical features with contemporary open-plan living space and six bedrooms. It is on the market for £7.5m. For more details, call Henry & James 020 7235 8861 or visit http://www.henryandjames.co.uk/property?id=583C18470E660. Horse races are traditionally held over the Easter Bank Holiday and Lingfield in Surrey (www.lingfieldpark.co.uk) is a perfect place to watch the winners. (Alternatively, you can indulge in a chocolate Spa at Lingfield during April.) Spend the weekend at your country retreat. Starborough Castle, just a few miles from Lingfield, is a gothic gem with a moat and a mini great hall. The property is for sale at £1.75m. For more details, call Henry & James 020 7235 8861 or visit http://www.henryandjames.co.uk/property?id=582DD45B1C84E.